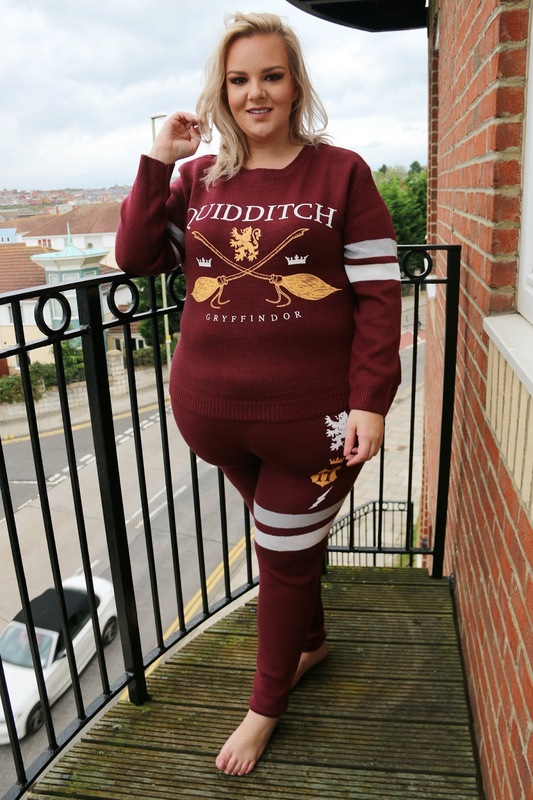 Girls, if you’re a Harry Potter fan then I’ve found the BEST loungewear for you this autumn at good ol’ Primark. 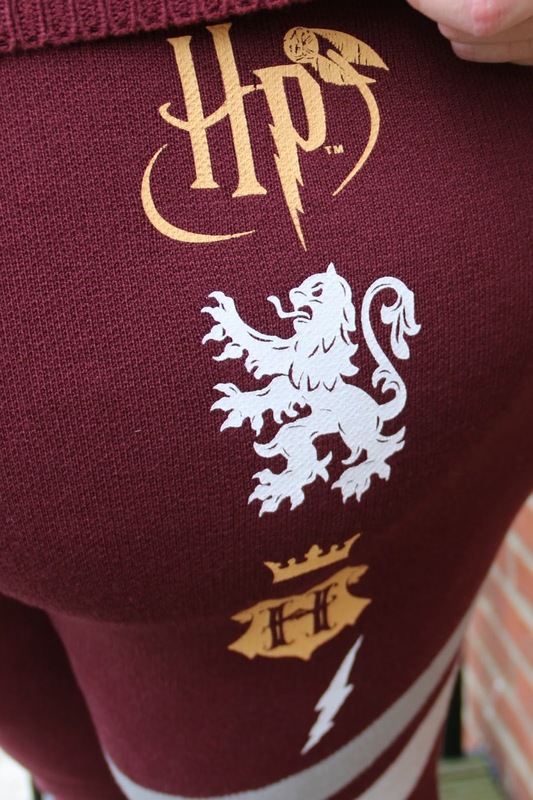 Knitted leggings and jumper in the signature Gryffindor burgundy red play host to the Quidditch emblem. They’re so soft, really warm and you can layer them easily too. The knitted fabric makes them very stretchy and they’re generously sized too. I’m wearing the leggings in an XL and the top in a L so you might like to size down depending on how you’d like them to fit. You’ll find these in the casual wear section of Primark, next to where a lot of the Disney and character printed tops and clothing are. 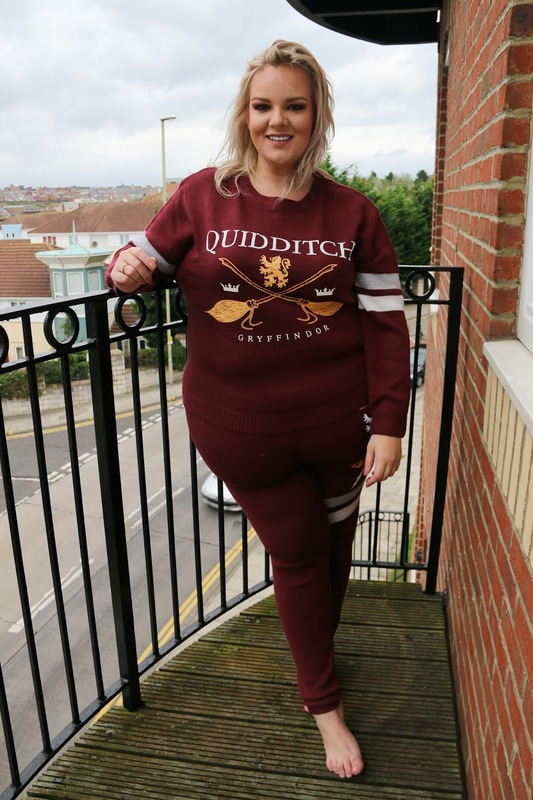 Priced at £12 for the leggings and £14 for the jumper, I think they’re an absolute bargain, especially as you can wear them around the house on lounging about days (which are, albeit, few and far between) or out if you’re running errands, popping to the shops or going for an autumnal walk in the park. I have been throwing mine on with a denim jacket and either my trainers or sliders depending on what the weather is like. Cold toes are not the one! 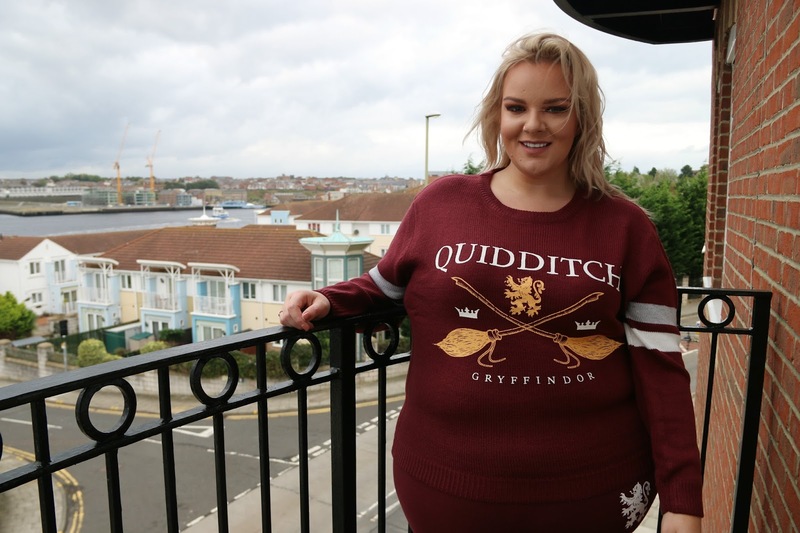 Primark have loads of Harry Potter themed pieces at the moment from clothing and PJs to bedding and homeware so definitely check them out if you’re a fan! What Primark bargains have you picked up recently? Previous Post Clarins Sun Protection: My Fave SPF for winter & summer sun!